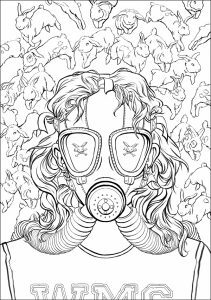 New York Times bestselling novelist and cultural trickster Chuck Palahniuk will publish Bait: Off-Color Stories for You to Color, his first ever coloring book for adults, this fall with Dark Horse Books. 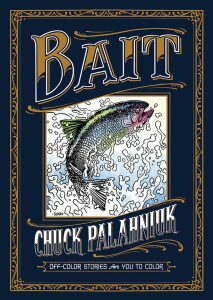 Bait will be both the coloring book debut and the second short story collection for Palahniuk, author of Lullaby andFight Club. 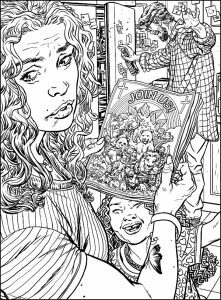 The book will contain eight bizarre tales, illustrated in detailed black and white by Joëlle Jones (Lady Killer), Lee Bermejo (The Suiciders), Duncan Fegredo (Hellboy), and more. 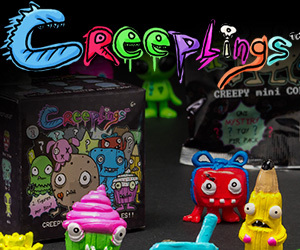 Each story is paired with pieces of colorable original art, nearly 50 in all. 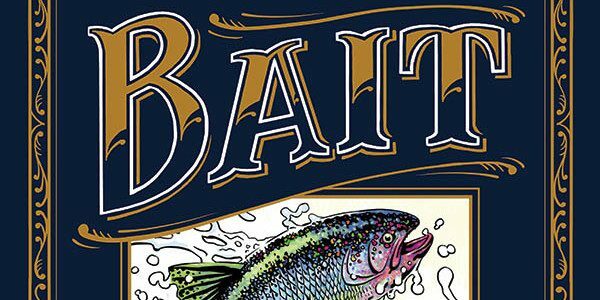 Dark Horse Books will publish Bait: Off-Color Stories for You to Color as a 8.5 x 11 inch hardcover album, with uncoated and white interior paper stock, accompanied by a cover illustrated and colored by Duncan Fegredo and designed by Nate Piekos. Bait will be Palahniuk’s second high profile release with Dark Horse Books. This month will see the publication of the author’s graphic novel debut, Fight Club 2, illustrated by Eisner Award winning artist Cameron Stewart, lettered by Nate Piekos and colored by award-winning Dave Stewart and accompanied by a cover by David Mack. Originally published as a 10 issue comic book miniseries, the bestselling Fight Club 2 was published to widespread critical acclaim and media attention. Fight Club 2 takes place ten years after the events of the bestselling novel. 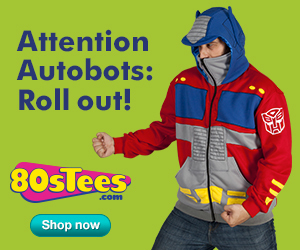 Tyler Durden lives… a mundane life. A kid, a wife. Pills to keep his destiny at bay. But it won’t last long, the wife has seen to that. The time has come . . . Rize or Die. The official book trailer can be viewed at https://www.youtube.com/watch?v=ofAxrjemo6E.